My new design (after long time haha) , and still about kids, children, cute, baby, etc :D , I love cute thing so much. Kiddie blog blogger template, another cute template. I use a cute lil girl and birdy graphic, and also baby clothes. Use this for your baby, kids, child or even baby clothes shop. Dominated with green, pink, brown color, but you also can customize this design as your preference. Remember to back up your template before change it. And for you a new mom, read this Must Have Item for New Born Baby. Awesome! Thank you- it worked great! Ms. Bong, it's very nice template, tapi my 'jump-breaks' koq ga bisa muncul ya?..what happend?..please advise! Cool and colorful template design i like this template Nice blog. We love this templete! Superb :) Thank you for sharing. how put it to blogger?? HELP!!!! Do you have wp version with thi themes?? kalo mau mindahin posted by / date / comment dibagian bawah (setelah posting) gimana ya caranya? cmne nk msuk kan template r kt blog..
Really great template, thanks for sharing brilliant! hi, it happen double "blog post" in the middle column, wat shd i do? Is there any way to get the comments link to the bottom? I just prefer it on the bottom. Thanks! i try to apply this template for my blog, but i can find the blogger navbar. i affraid my blog would banned by blogger cause there's no blogger navbar in my blog. so nice!!! i love this template. I love the simplicity of designing with usability in mind like the tips here. It’s so easy to want to over design something, great tips. THANKS SO MUCH! I love this template! fits well in my blog http://www.teepetals.blogspot.com ! I was able to change the banner. easy! very cute... I love It, but I would like to move de comments link to the bottom of the post. Is there a way to do this? Awesome, but to install it needs to a .zip not a .xml what am I missing? I think I just realized that this isnt meant to a wordpress blog? Sorry kinda new to WP and such..
hye, ive been using this template now! its soo cute!! Love the theme! I have a question! Where is the sign in, dashboard,etc bar that's supposed to be at the top of the blog? Did I do it wrong b/c it's not showing up on mine! Thanks! Any chance there is a way to make an "OLDER POSTS" button at the bottom of the blog? THANK YOU SO MUCH! All better now! cute theme. can i use them? Saya pake template ini di blog saya http://www.neverstoplearning.web.id Tapi sayangnya kenapa ga bisa post comment pake account wordpress, dan muncul pesan ini URL contains illegal characters. ya tapi saya sdh coba berkali-kali belum berhasil juga, masih tetep ada masalah dan saya ga ngerti masalahnya dmn. trakir nyoba bisa muncul word verification tapi ga bisa scroll ke bawah (utk scroll ke bawah nya ga muncul). lalu saya coba tekan keyboard scroll ke bawah (panah ke bawah) baru bisa scroll ke bawah. how to download the template and how to use the template in the blog ? I’m a bit regretted that I started this blog for my kids without knowing anything like BabyBlogs. I was not good at HTML when I first started this domain. My web host helped me with it and he did a good job of putting it everything I wanted in this blog. However, I don’t like the colour, header, and background. It’s not a template for kids, and I think you will agree with me on this. I am using this blogger template right now but is it available for wordpress.org? i really want to use this templates! please ..
thanks..i use it for my permata blog.. I'm willing to know more and read this info. Here we are willing to share with cheap instant insurance that is provided by best home and auto insurance companies. Customer could save on cheap life insurance rates which allow customers to apply for cheap affordable policy. Is this ready for wordpress yet? Kiddle blog so nice and more interesting blog. In this blog can be use and enjoy it. Mostly people are very like it and enjoy it. 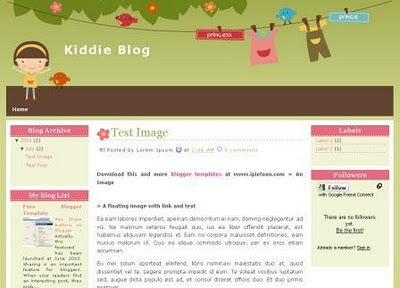 kiddie blog so nice and more interesting blog so that can enjoy it. This is nice and more enjoyable post shard on the site. Those people are very like it in this blogger and enjoy it. So lovely and more interesting blogger. discount ugg boots Scout, you do not know the name of it. Xia said captain smiled. NM12MjBin Brother, if you do not mind, then there will tonight night on my right. Chao said. Are you hurt, we go to the hospital. Propped up inside a fast finish Chao.Clear, from here 2 o'clock the enemy's logistics warehouse location, 9 o'clock direction is the location of enemy headquarters, where the most strict inventory and we do not get. One scout said. uggs discount Li Bin, right now is to first find, then we discuss how to dispose of two squad leader in the matter. Interrupt the political commissar, said Zhao. ugg boots discount Do not mediated ah, God, I think we two affinity, hey, go find a place to eat we drink a good talk. Are you hurt, we go to the hospital. Propped up inside a fast finish Chao. uggs discount Li Bin, right now is to first find, then we discuss how to dispose of two squad leader in the matter. Interrupt the political commissar, said Zhao. ugg boots discount Scout, you do not know the name of it. Xia said captain smiled.Do not mediated ah, God, I think we two affinity, hey, go find a place to eat we drink a good talk. ugg discounts What a warship ah, if we have it, the South China Sea has long been ours. Ruan Yunfei looking at a wide range of these ships, think their own country the hearts of those antique-class ships can not help some of the jealous said.Bin Brother, if you do not mind, then there will tonight night on my right. Chao said. www.hotdiscountbootsoutlet.com Good, good, good, old squad leader's grave to be seen very well, clean. Xu Biao sigh loudly said. Nice blogger shared on the site because in this is very interesting and enjoyable blogger also baby clothes. Use this for your baby, kids, child or even baby clothes shop.